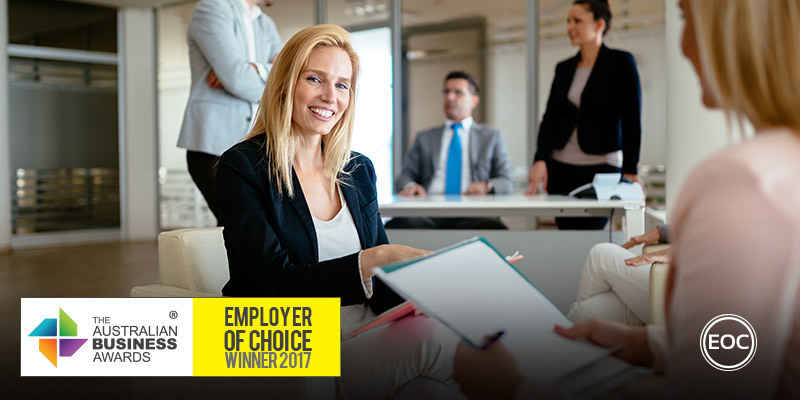 HESTA has been recognised as an Employer of Choice in The Australian Business Awards 2017. HESTA is an industry super fund dedicated to people working in health and community services – a growing sector of ordinary people doing extraordinary things, day in day out, right across Australia. More than 820,000 Australians trust HESTA with their money. So together, they invest $37 billion of savings globally. Their focus is on helping their members enjoy a retirement they’ve worked hard for. HESTA has experienced outstanding growth and expansion over the last 3-5 years, with a staff increase of 94% between July 2011 and July 2016. This increase has been a result of striving to be industry leaders by focusing on innovation and a commitment to driving membership growth all underpinned by their primary aim of supporting the HESTA members. In 2016, HESTA embarked on a project to review and refresh its brand. As HESTA is about to turn 30, it was time to look at the brand and the role it plays in their success. In a competitive, changing landscape HESTA needs to be prepared for more change in the industry, as well in Australia. They know their members are changing and so are their expectations. The majority of HESTA’s members are women; their workforce gender split represents this, with women represented at all levels of the organisation. Their Executive and senior leadership teams have even numbers of men and women. HESTA’s CEO, Debby Blakey is a very vocal public advocate for the financial rights of women within Australia, particularly women in low income roles. Ms Blakey is often covered in the media for her focus on improving retirement outcomes for women and for gender equality in retirement. Ms Blakey became a Pay Equity Ambassador in 2016 both publicly and internally by supporting the elimination of the gender pay gap. HESTA provides Women in Super (WIS) membership for all female employees and is a gold sponsor of the Mother’s Day Classic, Australia’s biggest fundraiser for research into breast cancer. All HESTA employees and their families are offered the opportunity to attend the event. All new employees receive access to the HESTA performance review platform, meeting with their manager to discuss and clarify their goals and objectives for the next 12 months. Within the first week of employment, new employees spend time with their leader putting together a development plan utilising the 70:20:10 framework. With a budget of between $2,500 and $5,000 per year, per employee, the employee and their leader work together to formulate a development plan that meets the organisations needs and the employees professional and career goals. All employees have an opportunity to access learning opportunities through HESTA’s annual scholarship. Each year employees can apply for a scholarship, HESTA awards two scholarships, to the value of $10,000 each for an employee to take on a formal learning opportunity. In 2016 several employees were recognised with industry awards and have had the opportunity to build outstanding networks that span beyond just the superannuation industry. Investing financially in the development of employees is essential in maintaining a workforce of highly capable, industry leading and savvy professionals. In 2016, a new series of learning programs were introduced, including a Leadership Forum Series and an updated Lunch and Learn Series. The Leadership Forums are quarterly events for all leaders at HESTA to facilitate discussions on key leadership challenges, such as facilitating change, developing people, leading authentically, and managing mental health in the workplace. The revised Lunch and Learn Series feature a variety of topics over 12 months that apply to all staff across HESTA, including creativity and innovation, presentation skills, resilience and stakeholder management. These sessions are action learning based, intended to give participants a series of toolkits to help improve their on-the-job skills and knowledge. In 2017, HESTA is launching the Amplify Program, an exciting new learning program to foster HESTA’s leadership capability. Ten participants have been selected across the organisation to participate in an assessment centre and debrief of their strengths and development opportunities, and complete a series of learning activities throughout the 11 month program. These include intensive workshops with external facilitators, executive coaching, application of learning through manager support, culminating in a presentation to the HESTA Executive Team on their learning journey.